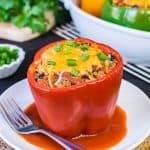 Need a quick and easy meal idea for busy nights? 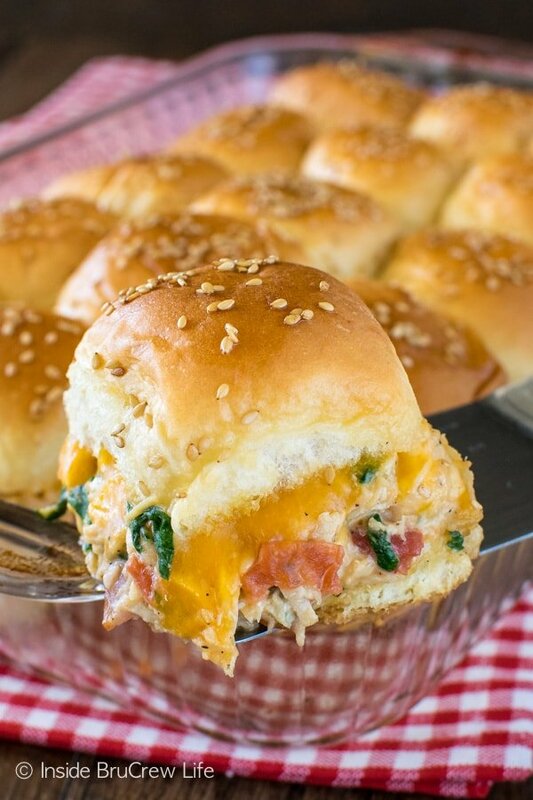 Add these Cheesy Chicken Sliders to your menu and watch everyone devour the loaded dinner rolls when you place them on the table. *This fall I am partnering with Red Gold® as a brand ambassador creating recipes using canned tomatoes. As always, all opinions are 100% my own. We have started to realize how much we do for our kids now that they are older. I don’t mean things like provide housing, food, clothing…the basics. I mean beyond that. The mom instinct in me cleans up after them in the kitchen, living room, and bathroom because that’s what I’ve done since they were little. Don’t get me wrong. 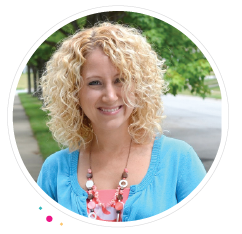 All three of our kids have chores that they are to do daily and weekly so that they learn to be responsible. The problem is that the busier we have gotten has caused them to get lazier about picking up after themselves. They have started to leave their dirty dishes all over the counters and clothes all over their rooms. Without giving it another thought, I have been grabbing the dishes and washing them because that’s what a stay-at-home mom does, right? Wrong. My husband pointed out that I was causing this problem to get bigger. Unknowingly, the cleaner in me was letting my kids get away with just piling the dirty dishes in the sink. The rule now is if you dirty it, you wash it. If they leave clothes on the floor, they pick them up. And I’m trying really hard to stick to these rules because they are old enough to be helping out and learning how to run a household. Another thing we like to do is to have the kids help us with dinner. When they were younger, they would help by opening cans and pouring the ingredients into the pots. As they have got older, we have shown them how to use a knife to cut veggies. Although, that still freaks me out because what if they slip?!?! I guess that’s why we have insurance, right? We have also started to ask their input on what meals they would like to see on our dinner menu for the week. They each give us an idea, and we will purchase the ingredients for their meal. On the night we have that meal, that child gets to make dinner for us. Of course, we still have to supervise and explain certain things, but they are doing really good at working in the kitchen. The next step will be to take them shopping for their meal ingredients. We want them to learn where to find certain products and also how to look for quality ingredients on the shelves of local stores. 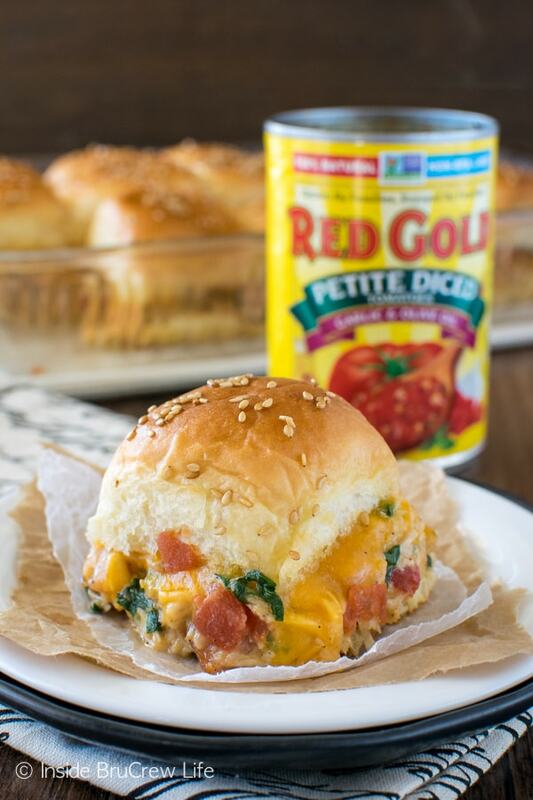 I am partnering with Red Gold® to bring you easy meals using their canned tomatoes this year. Red Gold is a family-owned business who sees the value in doing things the right way with their farmers and products. 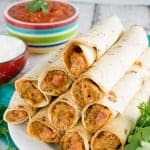 They provide high-quality tomatoes that are packed into non BPA lined cans because they are committed to the best quality for their customers’ health. This gives me the confidence that each time I grab these cans off the shelf, I am serving my family the freshest, best tasting tomatoes! 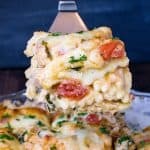 When I made this cheesy chicken pasta a few months ago, I had an idea that the cheesy chicken mixture would make an awesome sandwich as well. Minus the pasta, of course. It only took me 3 months to finally give it a try. 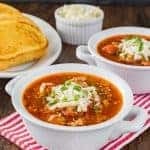 A little bit of butter, flour, milk, and cheese cooked in a saucepan creates a creamy cheesy base for this easy dinner. I added some shredded chicken, a can of seasoned tomatoes, spinach, and bacon and stirred it all together. Just an FYI, this mixture is also a great dip. I know this because I ate some of it with crackers. Let’s just call it recipe testing. Ok, fine, it was because I was hungry and couldn’t wait for it to bake. Cut the rolls in half lengthwise and place in a pan. You can cut them individually or cut the entire loaf. Make sure you use a big enough knife to go through. Melt the butter in a large saucepan. Add the flour and let it cook for about a minute. Whisk in the garlic and milk slowly. Let this simmer over medium heat until it thickens. If you use a fat-free milk, it will not thicken quite as much. Stir in the shredded cheese and let it melt. 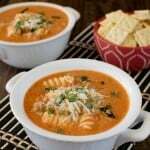 Drain the chicken and the tomatoes before you add them to the cheese because that extra liquid would make your mixture way too runny. We want the mixture to stay nice and cheesy, so it stays put on the rolls. Stir in the chicken, tomatoes, bacon, and spinach and cook until the spinach wilts. Spoon the mixture over the rolls. 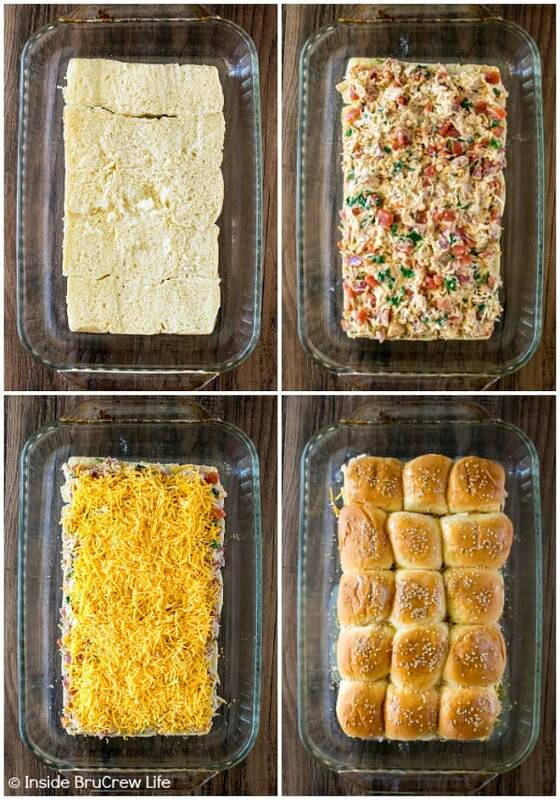 Top with cheese and the tops of the rolls. Pour the butter mixture over the top and sprinkle with sesame seeds. The seeds are optional, but I think they really give it a nice touch. Use a sharp knife to separate the rolls if you did not cut them apart already. 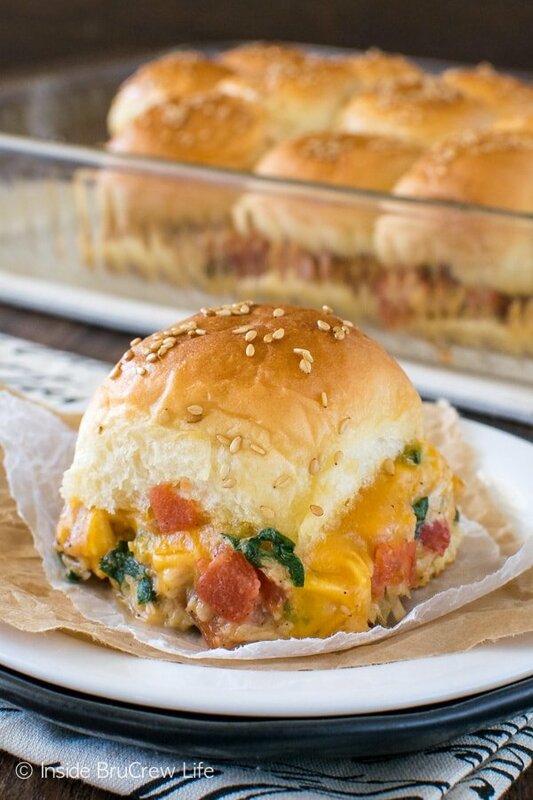 Serve immediately because you want to see the cheesy goodness pull out as you grab a roll. 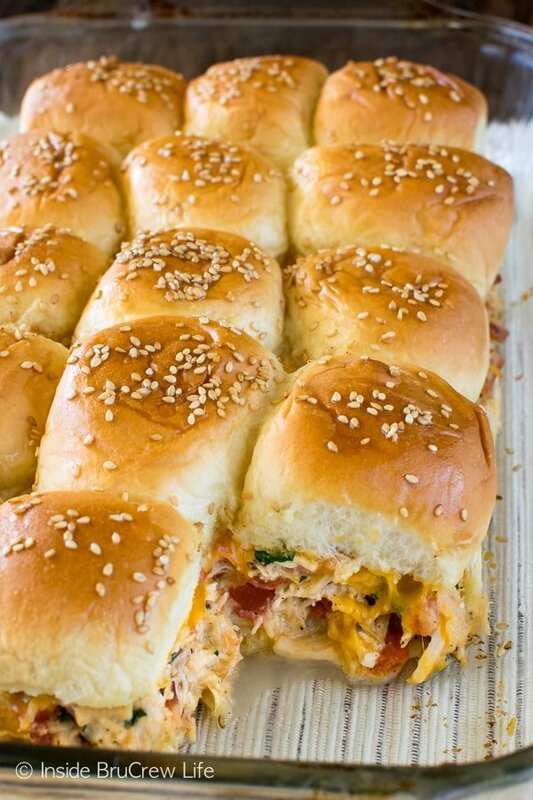 These Cheesy Chicken Sliders are loaded with meat, cheese, and veggies. Add them to your menu and watch everyone devour them at dinner. Preheat the oven to 350 degrees. Cut 15 of the rolls in half lengthwise and place in a 9x13 baking dish. Melt the butter in a large saucepan. Add the flour and cook for 1 minute. Stir in the garlic. Whisk in the milk slowly. Cook and stir over medium heat until the mixture thickens. 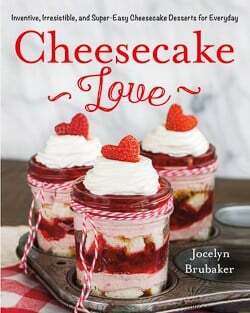 Add the mozzarella cheese and ranch powder and stir until melted and creamy. Stir in the chicken, tomatoes, bacon, and spinach. Continue to stir until everything is heated through and the spinach is wilted. Season to taste with the salt and pepper. 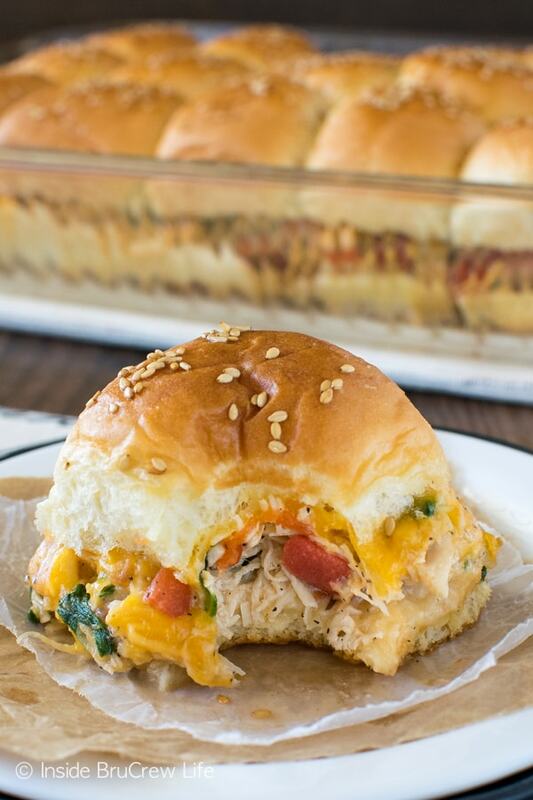 Spoon the chicken mixture evenly over the rolls in the baking dish. Top with the cheddar cheese. Place the tops of the rolls over the cheese. Stir together the melted butter and worcestershire sauce. Drizzle over the tops of the rolls. Sprinkle with the sesame seeds. Cover the pan with foil and bake for 25 minutes. Remove and serve immediately. 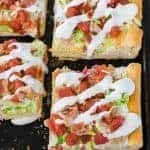 These look delicious and easy to put together. I have never used canned chicken and will give it a try.